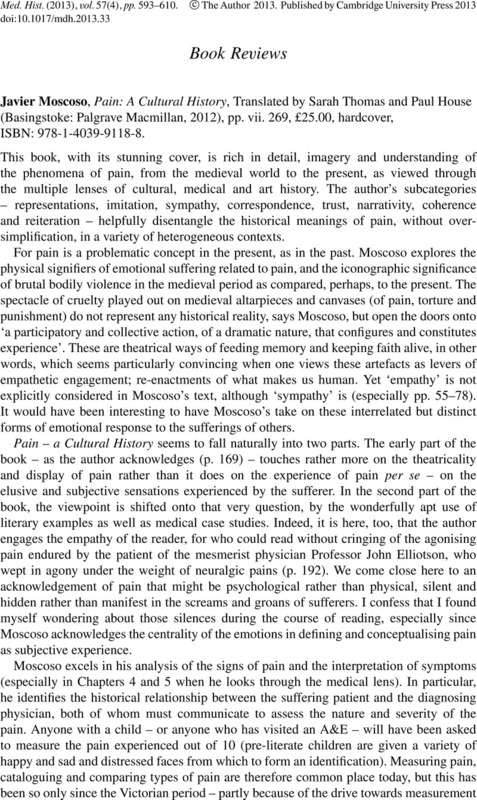 Javier Moscoso, Pain: A Cultural History, Translated by Sarah Thomas and Paul House (Basingstoke: Palgrave Macmillan, 2012), pp. vii. 269, £25.00, hardcover, ISBN: 978-1-4039-9118-8.